Was the Mig-25 Foxbat and the upgrade Mig-31 Foxhound capable of intercepting an SR-71? This question comes up regularly at SR-71 symposiums and Blackbird speaker events throughout the U.S. To put to rest this question is the purpose of this web page. During the cold War the Russians were highly concerned about the United State's XB-70 supersonic bomber project. In response, they built the Mig-25 which was designed to be a Mach 2.8 Interceptor for countering air targets in all weather conditions, by day and by night and in dense hostile electronic warfare environments. This was the USSR's answer to the design in the US of fast, high flying aircraft as the XB-70, North American F-108 and Lockheed SR-71. The MiG-25 lacked technological refinement, but its performance caused much concern in the west. It was designed to function both as a long- range interceptor and reconnaissance aircraft. The center fuselage is a big, welded steel fuel tank, so avionics, radar or cameras are in the nose. Speed is limited to Mach 2.83 mainly by controllability problems. The MiG-25 is a twin-finned high-wing monoplane with slightly swept wings and a variable angle tail plane. To improve the aircraft's longitudinal stability and to avert stall at steep angles and subsonic speed, there are two shallow upper surface fences on each wing. The high-wing monoplane configuration together with lateral air intakes both have the effect of reducing the loss of aerodynamic efficiency resulting from wing-fuselage interference. The aircraft is powered by two 11200kg Tumansky R-15D-300 single shaft turbojets, arranged in the tail section of the fuselage. The engines develop 11,200 kgf of thrust with fully selected afterburner. The engines provide a maximum speed of 3,000 km/hour at high altitude. The maximum speed at low altitude is 1,200 km/hour. The aircraft has a service ceiling of 22,500 meters. The range at altitudes between 9 and 11 km with speed of Mach 0.85 is 1,950 km. At higher altitudes between20 and 21 km and speed Mach 2.35, the range is 1,650 km. The maximum in-service g-load is 4.5g's.There are two-seat trainer versions of both the fighter and the reconnaissance version. Production of the fighter ended in 1983. The MiG-25 saw combat in several wars in the Middle East. Over 1200 have been built, of which about 75% were interceptors. The MiG-25 was produced by MAPO-MiG, the Moscow Aircraft Production Organisation MiG, which is based in Moscow and the Sokol Aircraft Manufacturing Plant Joint Stock Company at Nizhni Novgorod in Russia. 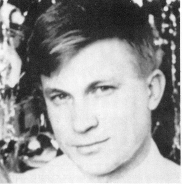 In search of Freedom, on September 06, 1976 Lt. Viktor Ivanovich Belenko piloted his Mig-25 (USSR Product #84) from the 513th Fighter Regiment at the Siberian Base of Sakharovka, Soviet Air Defense Command and defected to the United States. He landing the Mig-25 in Japan under adverse weather conditions. No Westerner had ever been close to a Mig-25 and much about the aircraft were unknown. It was the one plane most feared in the West. In 1973, US. Air Force Secretary Robert C. Seamans deemed the Mig-25 as "Probably the best interceptor in production in the world today". In 1967 a stripped down Mig-25 set a world record by achieving a speed of 1,852 MPH and another aircraft set the altitude record by soaring to 118,898 feet. 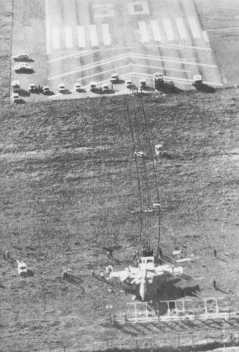 Lt Viktor Belenko with very low fuel landed his Mig-25 at Hakodate Airport in northern Japan, running off the end of the short runway. His defection to the West gave the United States the opportunity to closely examine the Mig-25. The aircraft was completely dismantled and then carefully inspected by aviation scientists and engineers from both Japan and the United States. President Ford granted Belenko asylum in the United States and the pilot underwent five months of questioning and interrogation. The United States Government established a Trust Fund for him and the interest alone afforded Belenko very comfortable living in the U.S. He was a free man, at last, to do as he pleased. 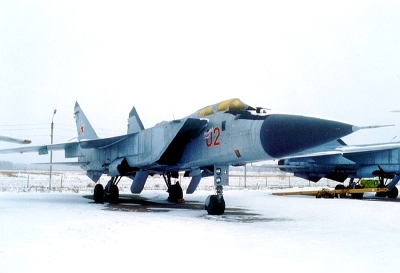 The Mig had been manufactured in February 1976 and thus was one of their latest most sophisticated production aircraft. Transistor circuitry was not used but instead the Soviets relied on vacuum tubes for most of their electronics. The Soviets reasoned the vacuum tubes were less affected by EMP waves in the case of nuclear attack; were more resistant to temperature extremes and they were easy to replace in remote airfields where transistors may not be readily available if repairs were needed. Welding was done by hand. Rivet heads were exposed in areas not critical to parasitic aerodynamic drag. Pilot forward vision was highly obstructed. With huge Tumansky R-15D-300 engines the Mig was considered almost a rocket. Pilots were forbidden to exceed Mach 2.5. There was a total of three engine instruments and the airspeed indicator was redlined at 2.8 Mach. Above Mach 2.8 the engines would overheat and burn up. The Americans had clocked a Mig-25 over Israel at Mach 3.2 in 1973. Upon landing in Egypt, the engines were totally destroyed. We did not understand that the engine destruction was inevitable. The combat radius is 186 miles. Without using afterburner; staying at optimum altitude and not maneuvering, the Mig can fly in a straight line for 744 miles. The plane was so heavy at 64,200 pounds, that according to early rumors Soviet designers had to eliminate a pilot ejection system. However this was disproved. Most MiG-25s used the KM-1 ejector seat. The last versions used an early variant of the famous K-36 seat. The speed record for the fastest successful ejection (Mach 2.67) is held by a KM-1 equipped MiG-25. Maximum operational altitude: Carrying two missiles, 78,740 feet (for maximum two minutes duration); carrying four missiles, 68,900 feet is maximum. Maximum altitude of missiles: 88,588 feet. Ability to intercept an SR-71: Belenko states the Mig-25 cannot intercept the SR-71 for several reasons: The SR-71 fly too high and too fast; the Mig cannot reach it or catch it. The missiles lack the velocity to overtake the SR-71 and in the event of a head on missile fire (The Golden BB), the Guidance system cannot adjust to the high closure rate of the SR-71. The Mig-25 has a jam proof radar but cannot distinguish targets below 1,640 feet due to ground clutter. The radar was so powerful it could burn through jamming signals by approaching bombers. Maximum G load: With full fuel tanks 2.2 G's is max; with near empty fuel tanks, 5 G's is dangerous. The Mig-25 cannot turn inside a U.S. F-4 Phantom fighter! The plane was made of steel alloy, not high temperature titanium, although strips of titanium was used in areas of high heat concentration. In a tight turn the missiles could be ripped from the wings. The Mig-25 was was not a fighter or an air superiority aircraft but rather designed by the Soviets to climb at tremendous speeds, fire missiles at one pass of the target and then land. Search and tracking radar had a range of 55.9 miles. The pilot duties were to take off, turn on the auto pilot and await instructions to fire the missiles from ground controllers. The Mig-25 had a superb auto pilot and digital communications from an onboard computer to ground controllers. Credit is given to the Soviets for building a high altitude Interceptor in a short period of time with the materials and engines available to them in 1967 in order to counter the perceived threat of the XB-70. On November 12, 1976, sixty-seven days after the defection of Belenko and his Mig-25 to the West, the United States and Japan returned the Mig-25 to Russia...in dismantled pieces. The MiG-31 was born as an upgraded MiG-25. Unlike it's predecessor, the MiG-31 has some very modern characteristics. It is the first fighter aircraft with an onboard phased array radar. This allows the MiG-31 to act as both a fighter as well as a director aircraft. With a sophisticated digital link system the MiG-31 can coordinate other fighters in an attack force making the MiG-31 the only combination fighter/director in the world. The crew consists of 1 pilot and 1 weapons systems officer. First produced in 1975, about 500 Foxhounds are currently in service. 1. A Mig-25 or Mig-31 has never fired a missile at an SR-71. 2. SR-71 Pilots state that the Mig-25/31 never posed a serious threat to their aircraft. 3. The Mig-25 can only sustain Mach 2.8 for a short duration due to engine overheat. 4. The Mig-25 can only sustain an altitude of 78,740 feet for two minutes maximum. 5. In 1973, Kelly Johnson, designer of the SR-71 Blackbird, stated that the Mig-25 Foxbat has the inherent capability to outperform the SR only in maneuverability. However, he stated, it would be the missile and not the aircraft that would require the maneuverability to intercept a Blackbird. 6. The SR-71 routinely cruised at Mach 3.2 in continuous afterburner at 80-85,000 feet. The speed and altitude of an SR-71 coupled with superior Defensive electronics has prevented any intended intercept of the Blackbird either by land based missiles or airborne Interceptor threats. 7. Almost all SR-71 Blackbird Reconnaissance Aircraft are now in Museums throughout the United States, having flown for 32 years with the distinction of being the "The highest flying and fastest air breathing aircraft in the world". Page #55 of the "SR-71 Blackbirds"